Our local Kimmy was left SHOOKT. It was around midnight two nights ago when Kim Kardashian went on Instagram Live for the very first time. 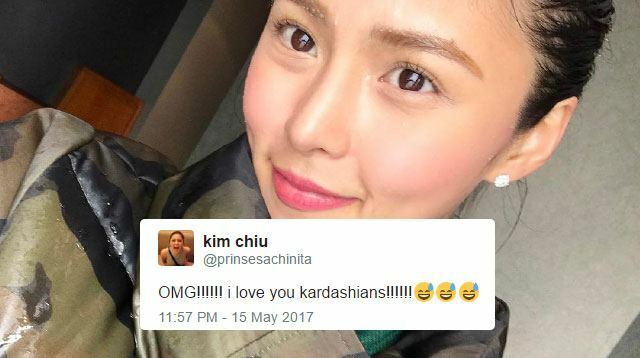 Among Kim's 170k ++ viewers streaming her car ride in New York with sister Khloe Kardashian was a not-so-subtly starstruck Pinay actress Kim Chiu. Our local Kimmy sent a series of comments and questions to Kim K—greeting her a Happy Mother's day, giving a shout-out from the Philippines, wanting to know if she has plans to visit the country, and asking diet tips from Khloe! kim and khloe noticed my comment 3x on IG live!!!!! ang haba ng sagot!! like omg!!! it feels like im with them lang sa car nila!!???????????? Watch the whole Insta Live vid below to get the full scoop!